Spring brings sunshine, flowers, and rain, tons of rain. 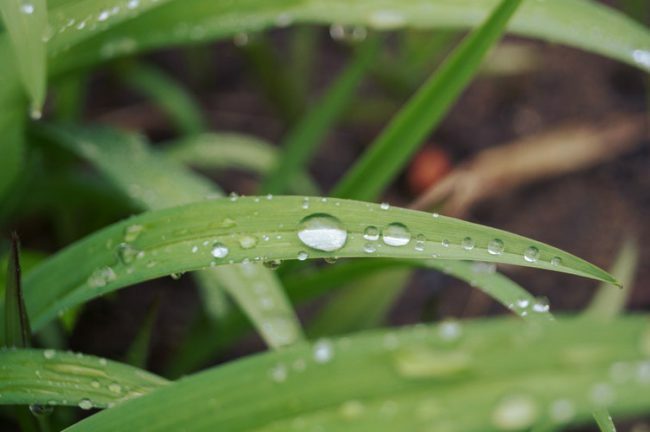 While some rain is great for growing plants, if you have poor drainage in your garden it can make it tough to get plants in on time and get a good harvest. Thankfully all soils can be improved! Here’s a few strategies you can use to help cope with excessive water and have a more productive garden. Cover crops are an excellent way to use excess water. They’re great for soil health and keeping your garden from turning into a giant mud puddle. Plant a winter cover crop throughout your garden next fall or in places you’re not immediately trying to plant in this spring. They’ll use water as they grow and eventually add organic material to the soil which helps with drainage. A more long term strategy, going no -till improves soil structure to help with drainage. The soil isn’t compacted with by any equipment and the plants, insects, and fungi create air spaces in the soil. Aside from adding fertility, organic material is also great for breaking up heavy dense soils. By mixing and bonding with soil particles it allows for more air space and drainage. As a side note adding organic material can also help dry soils hold moisture. If your unfamiliar with the process, subsoiling may seem contrary to going no-till. However subsoiling lifts the soil without mixing it or turning it over. This leaves soil structure intact and creates air space in the soil which greatly improves drainage. On large farms this is often done with a tractor and chisel plow or subsoiler but it’s also easy to do with a broadfork in a home size or small market garden. Building a few raised beds can help you quickly create areas with good drainage. The downside to most raised beds is that when things do dry out later in the summer they’ll require more water. Hugelkultur beds on the other hand offer both excellent drainage and good moisture retention as they’re built on a large pile of composting material. Check out our How to Build a Hugelkultur Garden Bed guide for more information. If you have dense clay soils it can be really tempting to purchase sand to give your garden some much needed drainage. However you’re far better off just adding organic material. To get proper drainage with sand you’ll need to add tons if your soil has a lot of clay. If you don’t add enough sand you can end up with the sand and clay bonding together to form something more like brick than fluffy garden soil. After waiting through months of cold and bad weather it can be devastating to find yourself standing in the middle of what appears to be a bog where your garden used to be when it’s time to sow early greens! No one wants to have to wait to plant or watch their plants succumb to the pressure of water logged soil. Try some of these simple strategies to give your garden better drainage!